Recently two friends were on a kayak expedition from Seward to Homer (Alaska). About 9 days into the expedition they got in trouble and used their PLB(Personal Locater Beacon) and VHF to call for help. 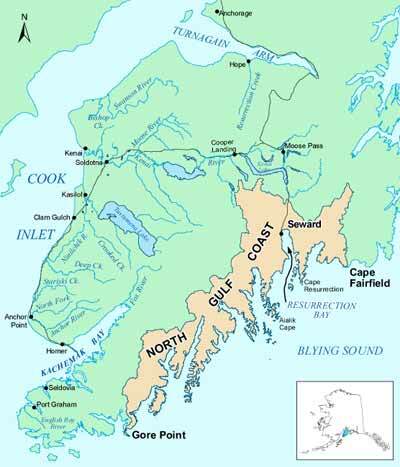 A Coast Guard helicopter was sent from Kodiak and got to them, They spoke by VHf to the Helicopter that they could wait for a ship to arrive ,in their kayaks. Assistance was called from all nearby vessels. Three boats arrived, but only the biggest of the vessels succeeded to get them and their kayaks out of the water. One problem was that they did not receive my weather forecast(they got the not updated forecast which was ese 3 to 4bft seas 0.50 to 1 mtr ), which I sent twice a day to their satellite phone. After the rescue they phoned to tell me that the updated forecast came, but too late. They decided to take a ride on the fishing boat that rescued them to Homer.The Updated forecast for that day was East winds 4 to 6 bft, gusts 7 bft, and seas from 1 to 3 meters. They were in a dangerous place, Gore Point, which I understand has very strong currents and no place to land. Here are some links about the rescue ,and also a very good video from the Coast Guard. Luckily all turned out ok. Another reminder to respect the sea ,since the sea will always win.